A Texas state representative is looking to combat food stamp fraud by sponsoring a bill which would require the state’s health and human service commission to add names and photos to state identification cards for food stamp users. Rep. Dade Phelan (R-Beaumont) introduced legislation that would task the Texas Health and Human Service Commission with adding photos and names of each food stamp recipient on “Lone Star Cards,” which are the state’s Electronic Transfer Benefit (EBT) cards used to provide food stamp benefits to those in need. The state ID cards give food stamp users access to government welfare programs such as the Supplemental Nutrition Assistance Program (SNAP) and Temporary Assistance for Needy Families (TANF). 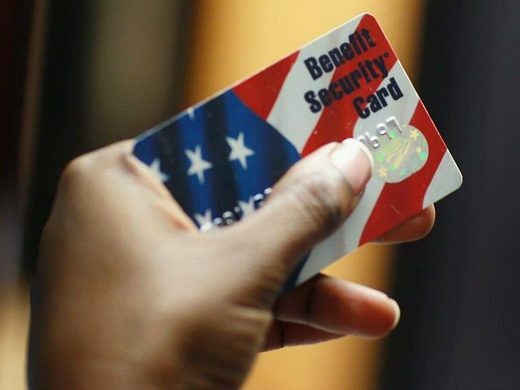 The bill would also require the state to have greater oversight over how often state residents apply for new benefit cards as a way to cut down on fraud in the state food stamp program.